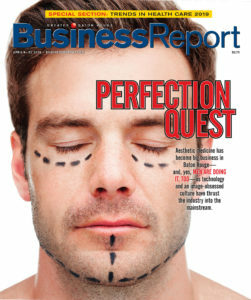 Welcome to businessreport.com, the digital version of Greater Baton Rouge Business Report. This is the only place you’ll find comprehensive coverage of business and industry in Louisiana’s Capital Region. Most of the content on this site is now available only with a subscription. 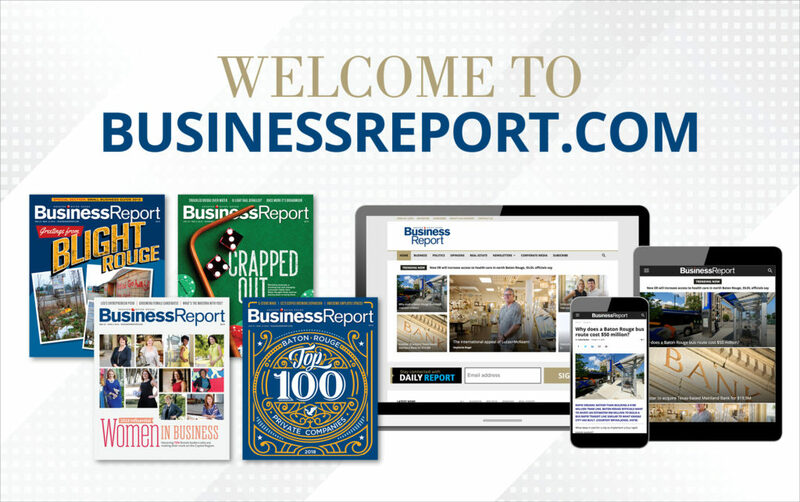 Here’s the good news: If you were a paid subscriber to Business Report prior to Jan. 17, 2019, you’re already an INSIDER, and you’ll have unlimited access to all of our digital content for free on any device for as long as your subscription is active. It works like this: Simply activate your digital account by going to businessreport.com/setup and entering your last name and the account number that can be found on your Business Report mailing label. You will then be asked to set up your username and password for INSIDER access. If you are not a subscriber but want to ensure you continue to have access to valuable Business Report content, head to businessreport.com/subscribe to choose a plan and set up your account. For just $59 a year, you will get ALL-ACCESS with both print + digital editions and become an INSIDER. The Six@6 enewsletter, delivering six top business headlines—national and international—customized for YOUR interests to your inbox daily at 6 a.m. Beginning April 1, 2019. Newsletter subscriptions such as Daily Report AM, Daily Report PM and Daily Report News Alerts will remain free to our readers. Business Report has always been a bargain for readers, and that’s still the case. Penned by a national award-winning editorial staff, Business Report is required reading for area professionals, executives and small business owners. For 36 years, we have delivered local business news and deep analysis first—spotlighting the local players, keeping a finger on the pulse of the economy and scrutinizing issues and trends that matter. We also connect our readers through major annual events celebrating the business community, such as the Business Awards & Hall of Fame, Top 100 Private Companies luncheon and Forty Under 40, as well as our new in-demand Leadership Academy. Please take a few minutes to go online and set up your INSIDER account. If you have any questions, call us at 225-421-8175 and ask for Austin or Ben. Again, we thank you for your continued and loyal readership of Business Report. Encourage your colleagues and friends in business to join you as an INSIDER and sign up now. I’m already a paid subscriber. How do I get digital access? I want to subscribe to Business Report print and/or digital and become an INSIDER. I want to subscribe to your free newsletters. I have questions about a subscription.